These rules can be helpful. They can save us time and energy. For example, I have recently made a rule that I will walk 10,000 steps every day. It is a good rule that will help me to stay healthy. But what if I become overly rigid about that rule? What if I insist on walking 10,000 steps, even when I am sick? Then the rule becomes like a ruler – rigid and inflexible. I will also tend to beat myself up when I don’t follow it (like those teachers from my childhood, who used their rulers to wallop disobedient pupils!). A more helpful approach to these internalized rules is to treat them more like flexible ribbons. They can be applied when it is helpful and not when it isn’t. To give you another example of how this works in practice. I have a rule that, before I raise a concern, I need to have worked out how I contributed to the problem. This is another ‘good’ rule. It stops me from blaming people unfairly. But if I apply it rigidly, it can hold me back from being authentic. What if, try as I might, I can’t work out my part? Or, if actually no one caused the problem – it just happened? If I follow the rule rigidly, I am paralysed, unable to raise my concerns and sometimes as a result; my silence actually damages the relationship. You might want to start to notice where rulers and ribbons turn up in your life. 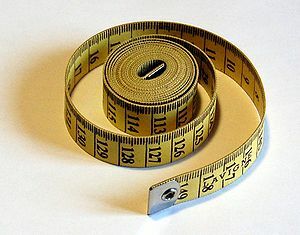 What does it feel like when you turn a rule into a ruler? What is it like when you apply it more flexibly and gently like a ribbon? Next Post ACT and conscious evolution Part A: Why cant we get our act together to respond to global change? I read about the rules and the ruler and about the teachers’ dicipline. That strikes such a nerve. I come from a catholic school background (at least until my mother got smart and removed me). There was a nun who taught piano and my father, being proactive decided to purchase an old upright for $3 from the local VFW. I started taking lessons from a nun and would practice at home. I was 7 and in second grade. On the days of the lessons we would go into a separate room with three pianos and practice. There was a couple of us (including me) who discovered we could play by ear. Mine was “Green Sleeves”. If we played something other than our lesson, the nun would come in and hit our fingers with a fiberglass baton. Of course, this would also happen if we played a wrong note during our lesson. Rules and the ruler. Hard and fast…..
It’s not about being inflexible. Its’ about having it beat into you…. into becoming inflexible. Reminds me of Pavlov’s dog for some reason. If I choose to make it my goal to walk 10000 steps, good. If I become sick and still walk 10000 steps and make it, great. But if I choose, to walk 5000 instead 10000, this is listening to my instinct. That voice that tells you, not what is right as much as what is smart. Life isn’t black and white. There is a lot of grey. To be unbendable, to always fallow rules, no matter how much it hurts is not wise and deprives a human from reaching their full potential. I did not always follow the rules (which is apparent from the story above) and aside from the fact that there is, no doubt, genetics involved, I managed to break a few more rules along the way. You know what happened? I became flexible, going with the wind and feeling… I may not do 10000 steps today, but if I do 5000, it’s ok! 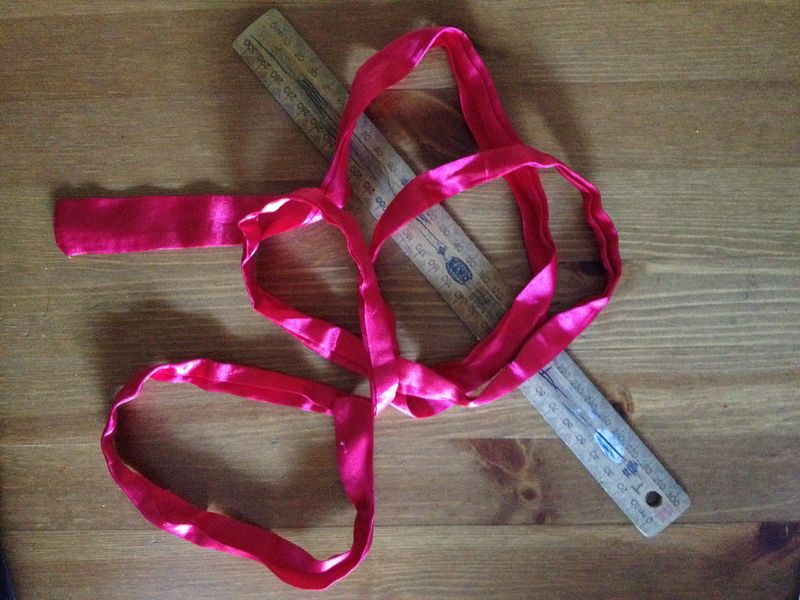 After all, the ruler develops the instinct, the ribbon helps us to differentiate between being smart and having fun. Unfortunately, there are those who have and do internalize the adverse effects of a harsh “learning”, of having to edure “the rules”. I was lucky, in spite of everything, I survived and made it to where I am now. Isn’t it funny. My brother went through much more than I did and was dyslexic, and left handed on top of it all. The abuse he went through (not sexual) during that time, in that school, led him to leave the catholic church to become born again and has been a Baptist Minister for the past 40 years. Some choose one rule for another. Everyone has a different deffinition of “horrible”. Everything that has happened in my life, I don’t consider horrible. I consider it an event in my life I have managed to get through and was made better by it. Some dive into another set of rules. I just like to move on to the next adventure. Whether good or bad. An adventure, never the less. I still like to think that, “that which doesn’t kill us, will make us stronger”. Simple as it sounds, but it works for me. I also think it’s important to remember that many behaviors are not rule controlled once they become habitual. For example, experienced drivers do things automatically like slowing down in the rain, without explicitly thinking to themselves “there is a rule that says it is wise to slow down in the rain.” So I think it’s also important not to beat ourselves up for doing things that have become a matter of habit, especially if there was an undesireable outcome. Not that we shouldn’t try to change those habits, just that it doesn’t help to berate ourselves with “I should have known better” or “I should have followed the rules better” statements. Absolutely! I think that is exactly what our minds do – we develop a rule at some point (and it is often a rule that works for us at that time) then it becomes a habit to follow the rule and we beat ourselves up for this. I think we can even find ourselves making a rule that ‘rules are bad’ and then beat ourselves up when we don’t follow that rule! Self compassion seems to be the way to go. Pingback: 5 powerful planning tools for the New Year | Celebrate You!